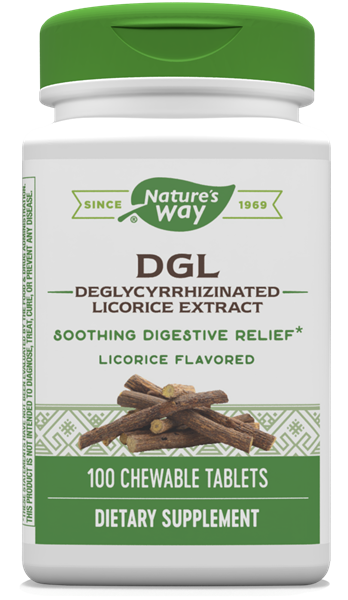 DGL / 100 chew tabs - Nature's Way®. ‡SPINS Licorice Ingredient Chewable Tablets; 52 wks ending 6-17-18; total US X-WF. What types of sugars are used in DGL? DGL contain small amounts of fructose and mannitol to enhance the flavor of the chewable tablet. These natural sugars are derived from plant sources. DGL is also available in a Fructose Free formula.